I don’t know how many people who work with patients have been patients themselves. I don’t mean just going to the GP. I’m talking about spending time in hospital. Quite a lot of my research has been with in-patients, and how they understand and perceive the care that is (or in some cases isn’t) provided. Over the last 14 months I have been an inpatient myself for two minor elective procedures. Each took place at a different hospital, both necessitated an overnight stay. During my time as an in-patient, I saw some of the common themes of patient experience in action. It really opened my eyes to how small things like the design of a hospital room can have a huge impact on a patients’ sense of security and wellbeing. I also saw some of the dynamics between different levels of staff playing out at the bedside. Admittedly, much of my work with in-patients was with people who were very ill and hospitalised for lengthy periods of time. My experiences don’t really reflect theirs, but there are parallels. There’s a lot to say, so this post is in two parts, with the next instalment coming next week. Patients often speak about the challenge of getting hospital staff (especially nurses) to recognise their ‘expertise’. That is, patients who have lived with an illness for a long time get to know a thing or two about the illness and how their own body copes with it. Against all medical logic, a cancer patient may find that a certain drug in a particular dose, which works like a charm for everyone else, has terrible side-effects for them. This is something that patients learn through living with their illness, but hospital staff can find this difficult to accept. I experienced this during my second hospital stay. The procedure was relatively minor, but afterwards I was given a huge volume of drugs in very quick succession (free flow as my IV machine was broken). My drip stand looked like a Christmas tree, laden with different packets and pouches. I’m sure these were necessary, but they were fed into my bloodstream so fast that I was soon completely overcome with nausea. I was expecting this – in my narrow sphere of expertise as a patient I know that too many drugs, too fast, make me feel very ill indeed. I called a nurse to assist me with the nausea. The solution she presented was obvious but not elegant – she would simply give me more drugs – this time a large dose of anti-nausea medication. This cycle continued for another 9 hours or so, with my consistently requesting that the drugs be run slower but given anti-nausea medication instead. 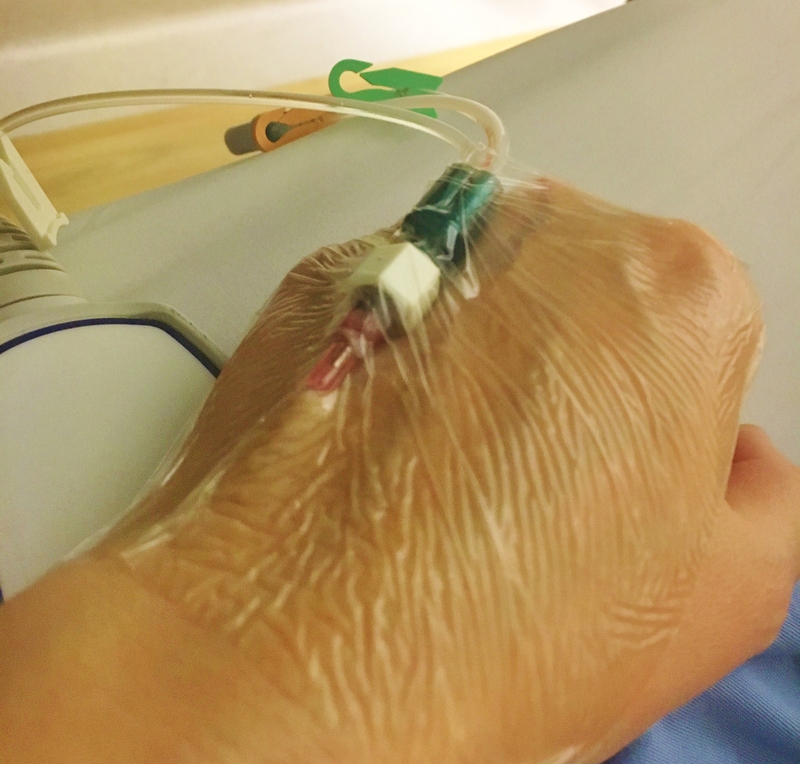 Eventually, I had to assert myself quite strongly in requesting that my IV was completely disconnected. My nurse was a bit flustered by this, saying that the doctor would get cross with her. I assured her that I would deal with the doctor, making certain he knew it was entirely my own decision. Two hours later, the nausea had completely subsided and I felt well enough to go home.